A kite surfer has died following an accident Friday afternoon at Crown Beach in Alameda, officials said. 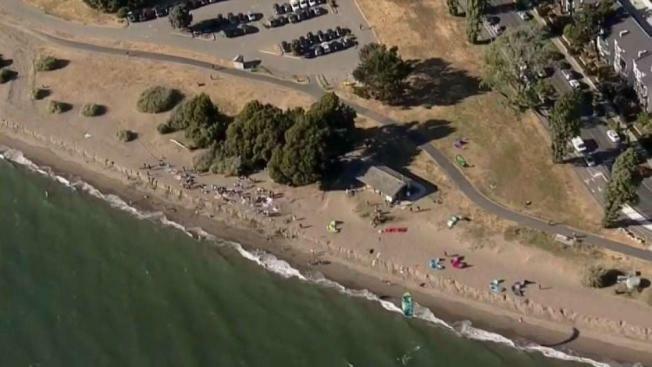 A 73-year-old kite surfer died Friday afternoon after he was found responsive at Crown Memorial State Beach in Alameda, officials said. Dr. Andres Caicedo of Concord was found face down in the water around 4:26 p.m. He was dragged onto beach by bystanders. "There was absolutely no sign of life from the guy," said Yuri Reither who helped pulled Caicedo on the beach. It wasn't immediately clear how Caicedo ended up in unresponsive in the water. His cause of death is under investigation, according to Alameda Coroner's Office. "It took three or four people just to pull him out of the water," Reither said. Reiter said he did everything he could to drag him onto the beach, leaving all of his gear behind so he could help carry him. Bystanders performed CPR until paramedics rushed him to the hospital where he later died.